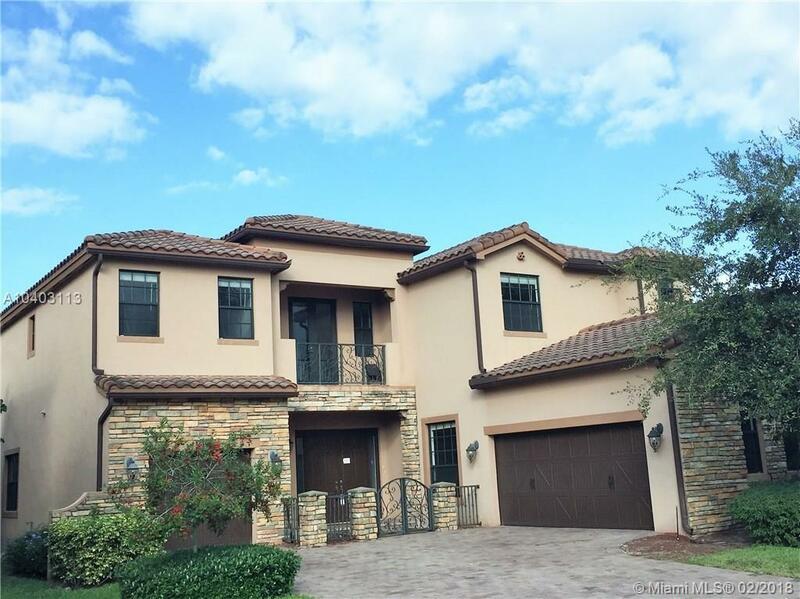 Gorgeous updated home in prestigious gated Estada at Monterra, 5 bed, 4.5 bath, 3 car garage with high celling, gourmet kitchen, formal living room, high celling, water view, impact glass windows, brand new laminate flooring in upper floor, master wing has wine cooler, huge bath, large closets and separate tub/shower. Separate 1 bedroom,1 full bath in in-laws suite. Bedrooms have walk-in closets. A+rated schools, just minutes from airport and major highways. Brand new pool was just installed.